Over 100 grantmakers participated in CCP’s first State Budget Impact Forum. 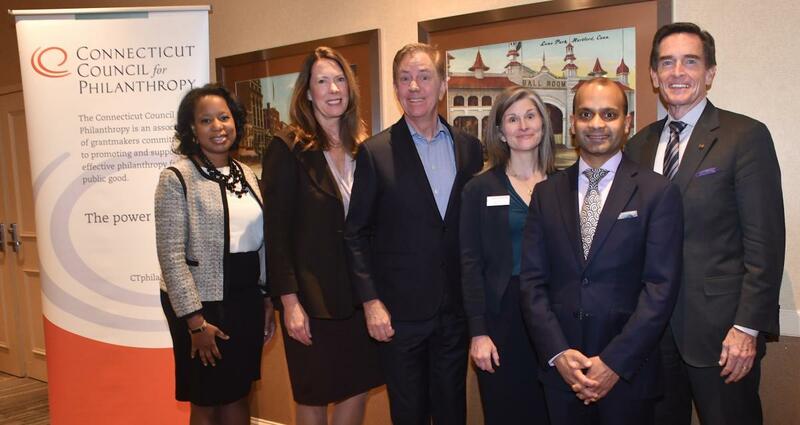 Speakers Governor Ned Lamont, Prabal Chakrabarti of the Federal Reserve Bank of Boston, and Keith Phaneuf of the CT Mirror discussed the Connecticut economy, the fiscal crisis, and how they impact the state budget. Nonprofit and government leaders described how state budget cuts impact the lives of Connecticut residents and communities, how they are working to address the challenges, and how funders can play a role. CCP is currently scheduling a conversation among foundation leaders to talk about if and how they want to work together on one or more issues. Many thanks to all who participated in the event, especially our generous sponsor The Nutmeg Foundation. We captured the forum in video, photos, and visual notetaking, and you can find links to these and the forum presentation materials below. Start watching at 1:07:50. Look below for start points for each presentation.